For the football enthusiasts on your gift list, this fun football gift will score big! 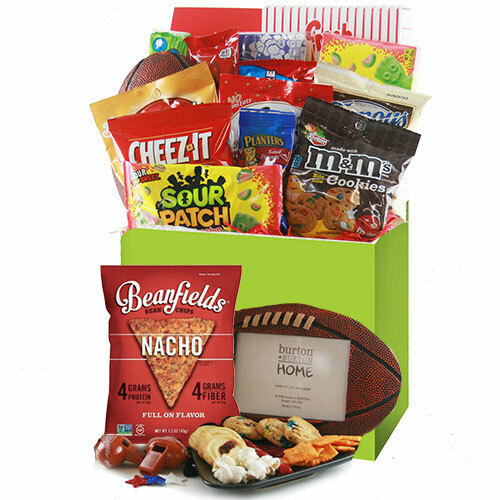 A great game day selection of chips, snacks and cookies including cheddar popcorn, Chex Mix, Cheez-Its, M & M cookies, Gardetto’s, Knotts, Planters peanuts, Act II popping corn, theater boxed candy, and more! Note that snack bags may vary due to availability and season.